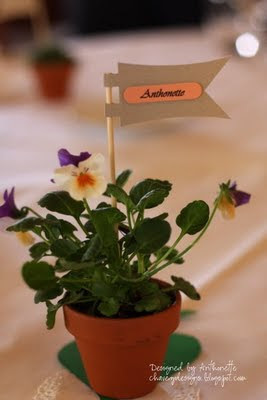 Yesterday I designed the tags for my sister-in-law's potted place cards at her wedding celebration today. My sister-in-law was inspired by this Martha Stewart potted place card design when she potted small flowers for the woman & moss-type plants for the men in attendance. 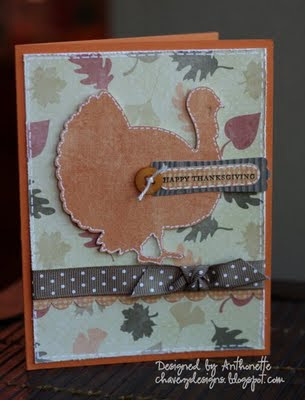 I used Kraft cardstock, Groovy Guava, & So Saffron cardstock. I downloaded some popular wedding fonts from here and let her choose her preference. She choose the Vivaldi font. 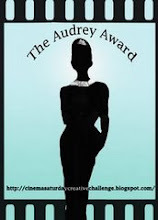 I used a banner design that came with my QuicKutz Silhouette to cut the banner out of kraft cardstock. I used a SU! Word Window punch to punch out the names. The banner was attached to a bamboo skewer with Tombow Mono Multi liquid glue. The names were attached to the banner with foam tape. The long Thanksgiving weekend is over. Time passes too quickly. I hope you had a good weekend too. I just had a tiny sliver of pumpkin pie tonight. Too much good food even today. My sister-in-law got married in Maui last week. Today her and my brother-in-law had a very nice wedding celebration at a local winery. This is the card I made for them last night. I used the Silhouette to cut out the sentiment. 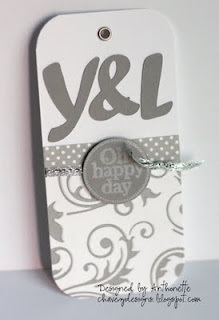 The papers, flowers, button, ribbon, and sticker are from two Making Memories collections. I decorated the envelope as well. To all my American friends, have a great Thanksgiving! Here's a card I made for my parents. I was supposed to mail it Monday, but I've been swamped with errands and helping at school. I definitely haven't been at home very much in the last week. Life has been busy. The card base is SU! Pumpkin Pie cardstock. 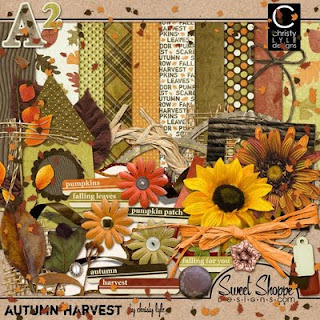 All the other papers are digi papers from Autumn Harvest by Christy Lyle (Sweet Shoppe Designs). I used my Silhouette to cut out the turkey design. My husband's family is driving up from LA tomorrow morning. Thanksgiving dinner will be at my house. I ordered all the major components of the meal from Boston Market and I picked it up yesterday. I did this last year too. I love not having to deal with a large raw bird. I do plan to make Pioneer Woman's mashed potatoes. I love her! I want to see how they compare to my grandmother's method. Mashed potatoes are my favorite part of the meal. I don't plan to do any crazy Black Friday shopping; I hate shopping. I'll probably check out online sales. We need a new printer soon. Have a good one! 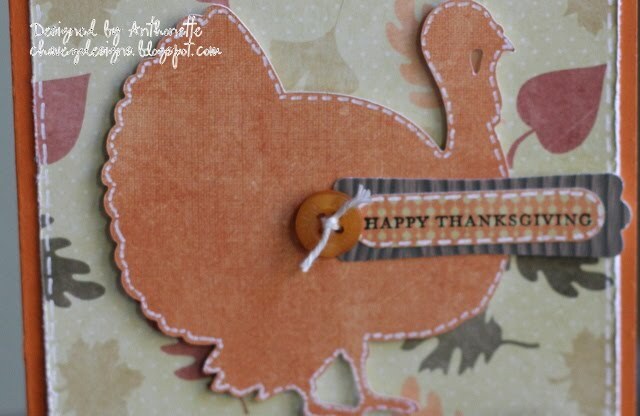 Gobble-gobble. Hi everyone! 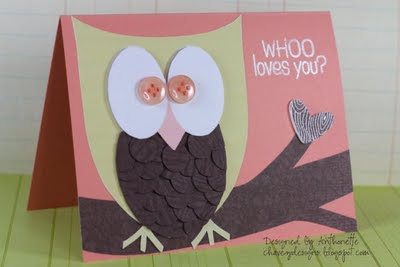 Just popping in quickly to post my card for the Embellish Magazine Color Challenge with Owls. The colors we had to use where Coral, Brown, and Green. I used the cute owl images Ashley provided to us. 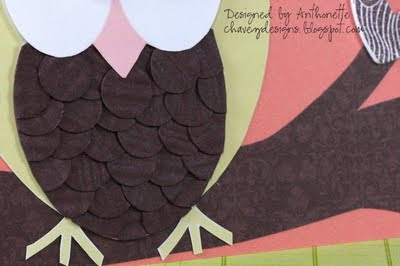 I paper-pieced the owl and embellished his belly by punching out 1/2" circles of distressed chocolate chip paper. I layered the circles on the belly and trimmed off the excess. I love my owl! I drew the branch out on some Bella Rose designer series paper and cut it out. 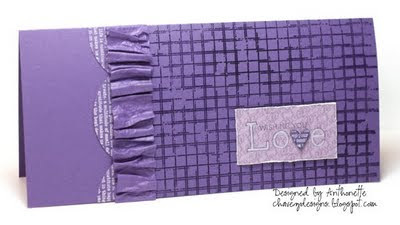 I made a heart chipboard by glueing 4 hearts together. I stamped a Hero Arts woodgrain stamp on the heart. This card looks a lot like the one made on Valentine's Day. Thanks for stopping by! Labels: Ashley Newell, Embellish Magazine, Hero Arts, love, owl, WHOO Loves You? Hola chicas! 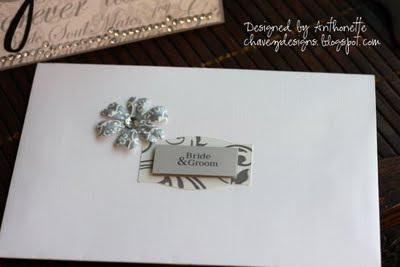 Here's a simple card and envelope I stamped a few months ago for a Moxie Fab challenge. 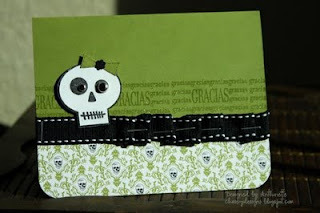 I never entered this card in the challenge and I had forgotten to post it on my blog. 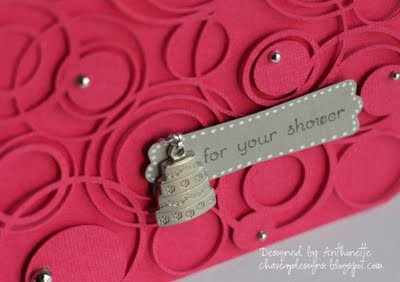 Peggy, my Stampin' Up demo, gave me a Pendant Notes card and envelope and some other goodies to try at home. So sweet! I stamped and embossed the SU! 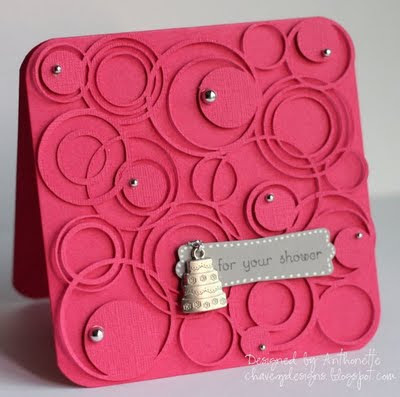 Medallion stamp on a piece of kraft cardstock and stuck it behind the Pendant Notes opening. I also did a lot of faux stitching around the openings. I like how that looks. I added some Martha Stewart half-pearls and some ribbon. 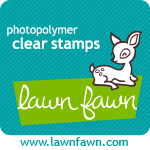 I also stamped the Medallion stamp on the envelope with VersaMark ink. Hope you are having a great day in your part of the world! Hi everyone! 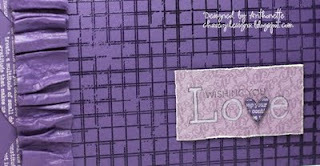 Here's my card for Cath's Plum Crazy challenge over on Moxie Fab World. I was inspired by the ruffles in the pictures and the use of typography. 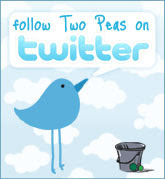 This card is 3.75" x 8". 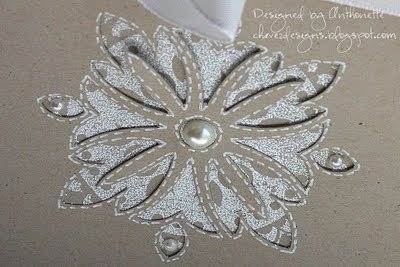 I love distressing paper with a paper crimper. The paper becomes like fabric after you break down all the fibers. Love it! Hope you are having a great weekend. Last night, I went to a bridal shower for my sister-in-law, Yolanda. She is getting married (eloping) in Maui (my favorite island) in 2 weeks. The food, wine, and dessert was awesome! The savory food was an Indian buffet made by her friend, Smruti. 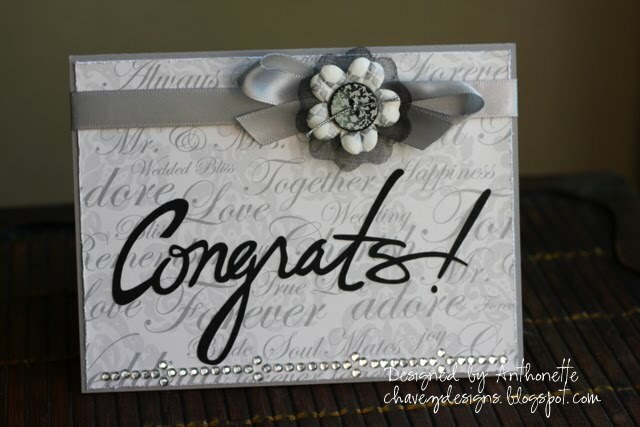 Here's a clean and simple card I made for her using my QuicKutz Silhouette and a few supplies. 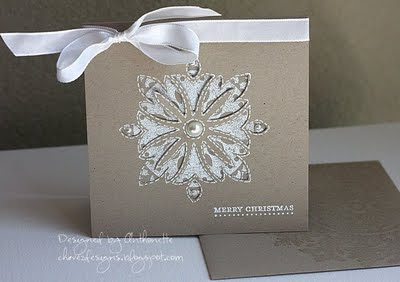 The intricate circle layer is attached to the base of the card with foam tape. 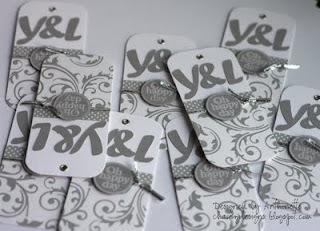 I made these tags for the favors (silver candle sticks) at my sister-in-law, Yolanda's, bridal shower last night. Thanks, Connie & Smruti for hosting! I used my QuicKutz Silhouette to cut the initials for the bride and groom from Going Gray cardstock. The silver and white patterned paper is from a Making Memories bridal page kit. It's already Monday night again! Time flies too quickly. My Sweetie and I attended an amazing party yesterday to celebrate El Día de los Muertos (Day of the Dead or All Souls' Day). Here's some info about the holiday. I've never celebrated this holiday before, but I look forward to next year's celebration. Here's a thank you card I made for our host. Today, I found out one of my great uncles passed away yesterday in New Mexico. He had been living with bone cancer for over a year.